Health Canada announced new mitigation measures today on the neonicotinoids​ clothianidin and thiamethoxam, pesticides which are sold as seed treatment or sprays to protect agricultural crops from various insects. 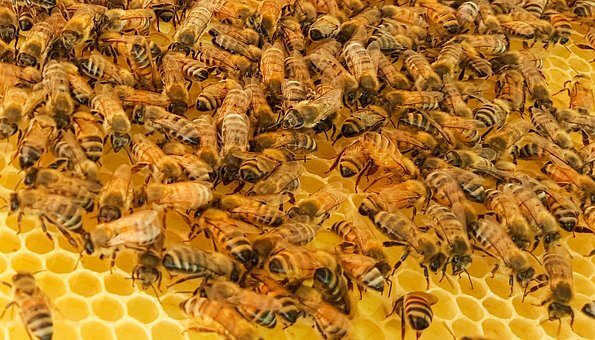 The statement says clothianidin and thiamethoxam “are not expected to affect bees,” when used as a seed treatment — a view many environmental organizations dispute. The PMRA is updating the pollinator risk assessment for imidacloprid based on additional data from the registrant, additional literature that has recently been published, and the comments that were received during the public consultation period for the preliminary assessment (REV2016-05, Re-evaluation of Imidacloprid – Preliminary Pollinator Assessment). The PMRA expects to publish a proposed decision regarding imidacloprid pollinator safety in March 2018. New system simplifies process for protecting midge tolerance. Growers of midge tolerant wheat are accustomed to putting pen to paper and signing a stewardship agreement with their seed retailers every year. All of that changes this growing season as the Midge Tolerant Wheat Stewardship Team has launched a digital platform and evergreen agreement. The move online is expected to improve the process for growers and retailers, and help ensure continued protection of the midge tolerance gene. 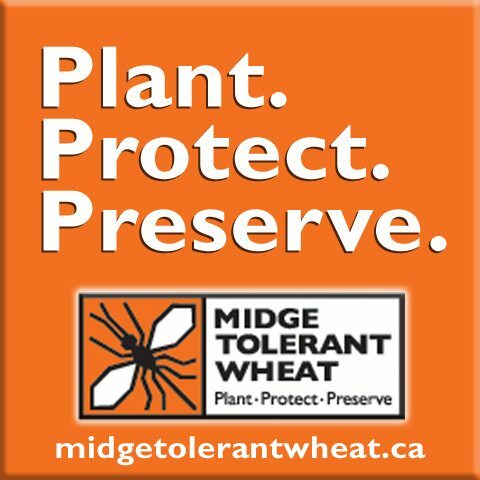 The Midge Tolerant Wheat Stewardship Assurance Site (MTWSAS) is a secure, web-based tool for use by seed distributors, seed retailers and seed growers that makes the process of documenting the movement of certified midge tolerant wheat seed more efficient. It allows users to create electronically signed stewardship agreements and to post sales transactions. 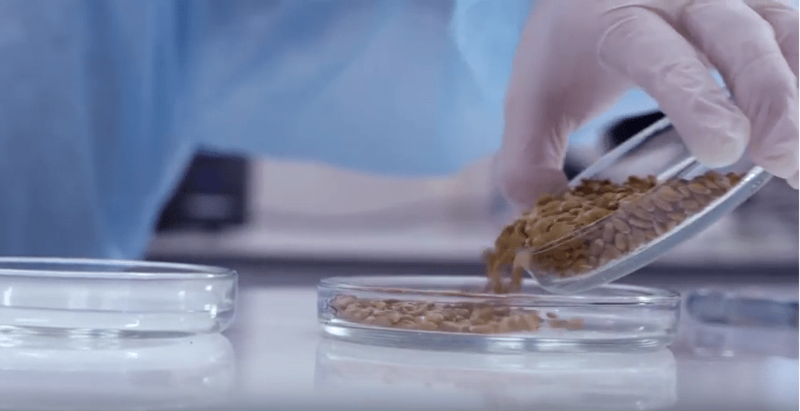 All midge tolerant wheat is sold to farmers under an agreement in order to ensure proper stewardship of the technology, which limits the use of farm-saved seed to one generation past certified seed. With MTWSAS, the stewardship principles do not change, but the process becomes a lot easier. “This online agreement replaces the paper-based version and manual process that we’ve used since the launch of midge tolerant wheat in 2009,” explains Mike Espeseth, communications manager for the Western Grains Research Foundation and co-chair of the Midge Tolerant Wheat Stewardship Committee. “The online stewardship agreements are evergreen, which really simplifies things for everyone. Agreements are now signed digitally and farmers will only need to sign once, no matter where they buy their seed,” he says. While stewardship agreements have been a vital part of protecting midge tolerant wheat technology for the past eight years, Espeseth and the team knew the process could be improved. 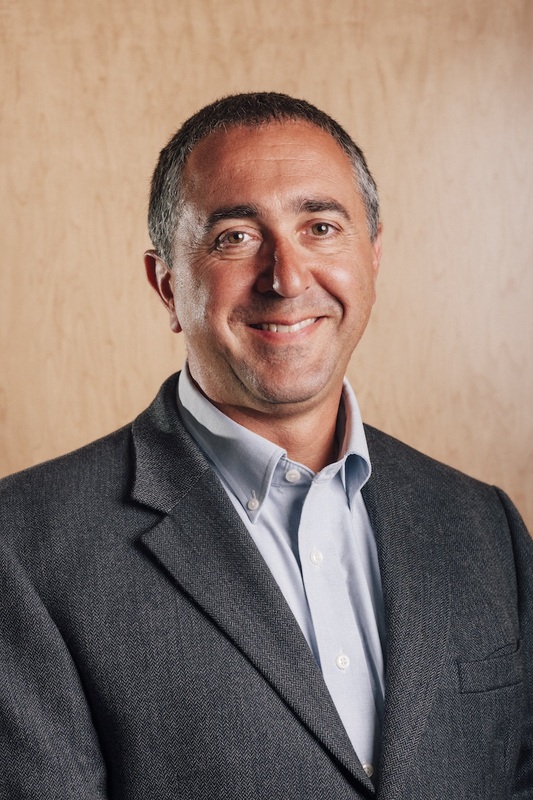 “The new MTWSAS is simple and technologically advanced,” says Ed Mazurkewich, a business development consultant with AgCall, the developer and host of the new retailer-driven platform. “All wholesale and retail movement of certified midge tolerant wheat seed is posted to the MTWSAS by seed growers and retailers with a user-friendly interface,” he says. Merryweather anticipates the new process will save time and money for retailers. It will eliminate the nuisance of duplicate agreements and add report-generating capabilities for their specific varieties. Merryweather adds that distributors can expect to benefit as well. “We will have access to complete information on the sale of all of our products, along with the absolute confidentiality we need in our business and for our farm and seed grower customers,” he says. MTWSAS is administered and managed by AgCall with oversight by the Canadian Plant Technology Agency to ensure privacy and confidentiality. An added bonus of the new system is that it serves as a good reminder to growers and retailers on the vital need for stewardship. In a survey conducted in spring 2017 with more than 1,000 wheat growers in Western Canada, 94.1 per cent of Alberta growers agreed that “it is critical to have a stewardship program in place to ensure that the effective life of the midge tolerance gene is protected.” The survey also found that 95.1 per cent are familiar with the stewardship agreement for midge tolerant wheat. However, results showed new growers are less familiar with the agreement than existing growers. Mazurkewich explains that in order for distributors, retailers and seed growers to access the new system, they require a new authorized retailer number. This is obtained by successfully passing the updated retailer training located at midgetolerantwheat.ca and by signing a new retailer stewardship agreement at MTWSA.ca. Researchers from The University of Queensland have discovered that a key gene which controls flowering time in wheat and barley crops also directs the plant’s root growth. Project leader Dr. Lee Hickey from the Queensland Alliance for Agriculture and Food Innovation(QAAFI) said the discovery was a major breakthrough in understanding the genetics of root development and could boost food security by allowing researchers to breed crops better adapted to a range of environments. “Wheat and barley are ancient crops and humans have been growing them for thousands of years,” Hickey says. 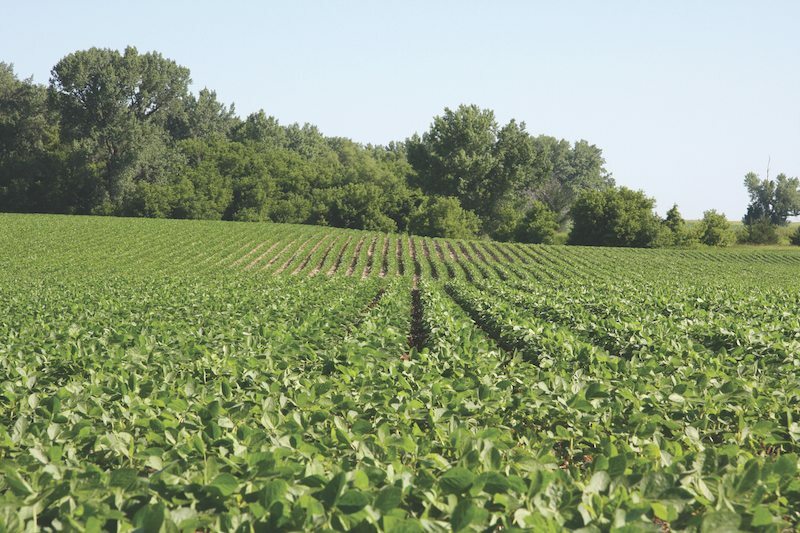 “Over the years, farmers and more recently plant breeders, have made significant progress selecting for above-ground traits, yet have largely ignored the ‘hidden half’ of the plant – its roots. Hickey says this unexpected insight into the underground functions of the VRN1 gene has major implications for optimizing cereal crops, as crop varieties with improved root systems could dramatically improve farm productivity. “A particular variant of VRN1 in barley, known as the Morex allele, simultaneously induced early flowering and maintained a ‘steep, cheap and deep’ root system,” Hickey says. The root gene discovery was part of an international collaboration with a team of scientists from Justus Liebig University in Germany, led by Professor Rod Snowdon. 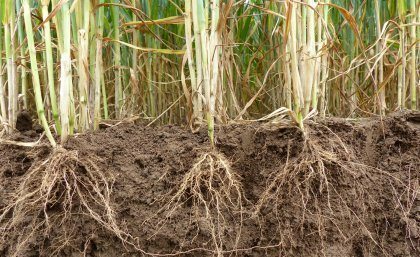 The group in Germany provided insight of the gene’s involvement in shaping root development for winter wheats grown throughout Europe, as well as validation of rooting behaviour in field trials. Another collaborator was Dr. Ben Trevaskis from CSIRO who provided important experimental wheat and barley materials critical for validating the gene’s role in root development. PhD student Hannah Robinson, along with Dr. Kai Voss-Fels who has recently joined QAAFI as a Research Fellow were joint first authors for the study published this week in high impact journal Molecular Plant. “While our discovery is exciting, more research is needed to identify other key genes involved to effectively optimise root growth in future crops for farmers,” Robinson says. 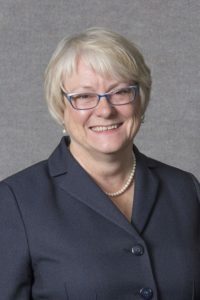 “Also, we need to determine the preferred root system architecture for different growing regions, which will help plant breeders develop more productive crops, despite the increased variability of future climates,” she says. 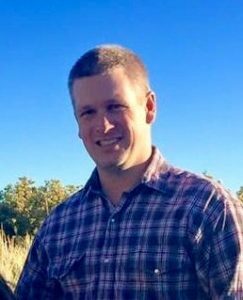 The cereal root research at The University of Queensland and wheat phenology research at CSIRO is supported by the Grains Research Development Corporation, and Robinson’s PhD scholarship. 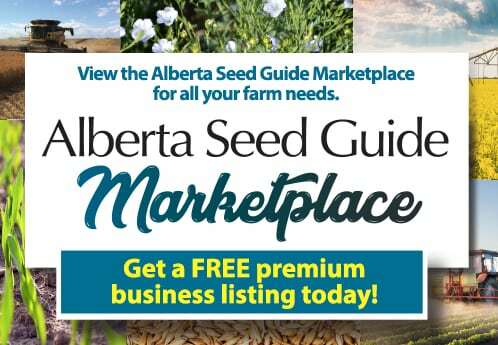 The Canadian Seed Trade Association has launched its Better Seed, Better Life program at its semi-annual meeting in Calgary, Alta. Through Better Seed, Better Life, CSTA will engage in dialogue with Canadians on the role of seed as the foundation for the food and drink we enjoy, the clothes we wear and the fuel in our cars. CSTA’s Better Seed, Better Life program starts today with the launch of its Better Seed, Better Life video and the fact sheet “Cheers for Cereals.” The video, developed by Alberta Seed Guide publisher Issues Ink, aims to capture the essence of the Canadian seed industry and the role that seed plays in our day-to-day lives. The fact sheet is one part of a series of fact sheets to be released over the coming months. The aim is to connect the seeds produced by CSTA members and the crops grown from those seeds to the products used in our everyday life. The fact sheets will be available at cdnseed.org. CSTA’s Better Seed, Better Life program is based on materials created by the American Seed Trade Association and is a collaborative effort of CSTA and ASTA. These two seed growers are new Alberta Seed Growers board members. Both have farming in their blood, and are pumped about their new role. Unlike many industries, farming is one where most kids don’t roll their eyes at the prospect of following in dad’s footsteps. That is certainly the case for two new members of the Alberta Seed Growers (ASG) board who were both eyeing a farming career from an early age. Such is the story with Richard Hallett, a seed grower and cattle producer located 15 km west of Carstairs. Hallett took an eight-month break after high school and travelled to New Zealand, but all roads led back to the farm. The business is truly a family affair. Hallett’s young son and daughter are involved, and his 91-year-old grandfather still lends a hand. That concept of continuity is a big part of the seed growing appeal for Hallett. The only challenge comes at peak times when he’s selling seed while trying to get his own seed in the ground. Of course, a knack for overcoming obstacles is a good quality for a new ASG board member. Hallett was keen to meet people and learn more about the workings of the seed industry. As well, he saw the board as playing a key role. In the process, the board must deal with issues unique to the industry. It’s a good time to have board members with different viewpoints, as “everyone’s perspective is valuable”. One of those perspectives belongs to fellow new board member Tracy Niemela. 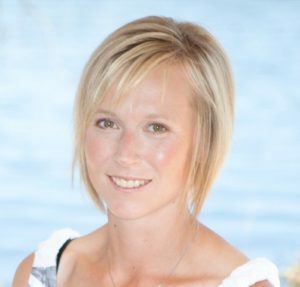 Along with her parents, husband and other family members, she operates a seed farm near Sylvan Lake. Like Hallett, the business has deep roots in her family tree. A University of Alberta graduate with a Bachelor of Science degree and an agronomy certificate from Olds College, Niemela worked for the health region as a systems consultant while helping on the family farm. Eventually she quit and went back to the farm full time. She finds the seed business challenging and rewarding at the same time and one that is constantly changing. That suits her just fine as it really keeps her on her toes. Also fitting well is her place on the ASG board. Although Niemela was hesitant when first asked to run, fearing she lacked the time and the knowledge of what the board did, she finally took the plunge. Part of that shaping includes addressing movements like gluten-free, organic and chemical reduction. There’s a lot to tackle, but with farming in the blood and their hearts on their sleeves, Hallett and Niemela are pumped to take it on. Despite the growing diversity within Alberta’s farm crops, one famous flowering farm staple remains well ahead of all others, at least if you measure it by the cash receipts it commands. 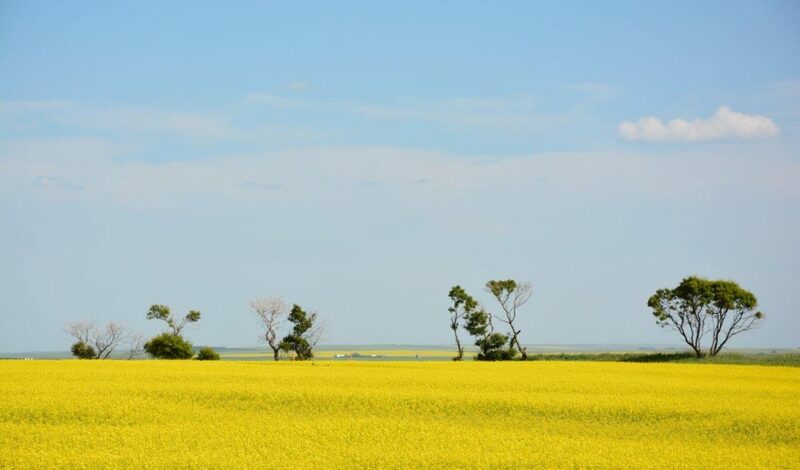 Over the last 10 years, canola has been, by far, the largest cash crop in Alberta. It accounts for about 42 per cent of all cash receipts over the last decade. On average, that’s racked up about $2.4 billion dollars per year for Alberta farmers. Wheat comes in a respectable second place with average annual receipts of $1.6 billion (including durum wheat). This is about 29 per cent of cash receipts since 2007. Other grains such as barley (5.3 per cent) and oats (0.8 per cent) are well behind in terms of value. Many Albertans may be surprised to learn that our third largest cash crop is dry peas — they’ve contributed on average $300 million annually, amounting to about 5.4 per cent of total receipts. Lentils and field vegetables kick in another two per cent. There is a wide variety of other crops that contribute to farmer cash receipts. About 15 per cent of total revenues are items like potatoes ($176 million per year), dry beans, mustard seed and flaxseed. Amid mounting controversy over use of neonicotinoids (neonics) and declining bee population, a new analysis by U of G scientists of previously unpublished studies and reports commissioned by agri-chemical companies Bayer and Syngenta – as well as published papers from the scientific literature – shows no significant ill effects on honeybee colonies from three common insecticides made by the companies. The study involved three pesticides – clothianidin and imidacloprid made by Bayer, and thiamethoxam made by Syngenta – that are used in seed treatments for various field crops. 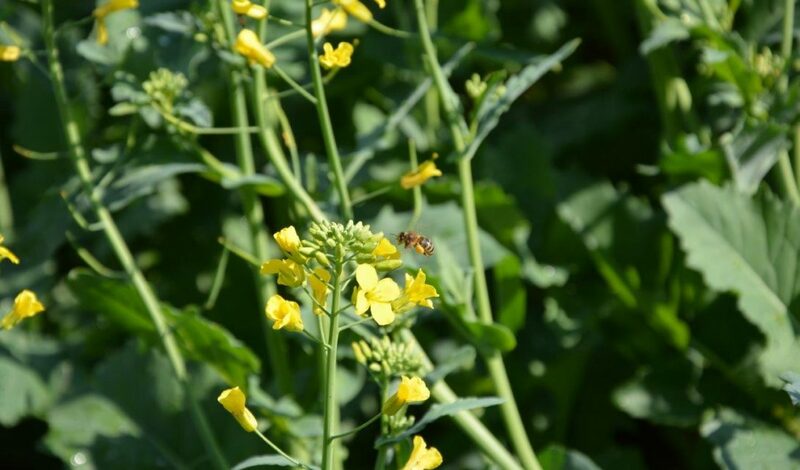 The U of G researchers stressed the importance of “good agricultural practices,” including ensuring that seeds are coated and planted properly to avoid airborne contamination of bees during field seeding. The Canadian International Grains Institute (Cigi) works with the entire grain and field crop value chain within Canada and internationally to drive the development and utilization of Canadian crops. The independent, not-for-profit organization was established in 1972, and today more than ever, Cigi is moving forward in its mission. For instance, development activity of the Combine to Customer program, first launched in 1999, is ongoing. Cigi board chair Kevin Bender adds that the Combine to Customer program is also an opportunity for growers to ask questions of Cigi technical staff who have first-hand knowledge of customer requirements, so they can better understand how things like protein content, gluten strength and quality, and the different grading factors affect the processing of end-products in markets around the world. It also gives Cigi staff the opportunity to ask growers questions about issues on their farms. There have been over 80 Combine to Customer programs held so far, and participation has remained consistent over the years, with 15 to over 20 growers per program, and strong interest and participation from Alberta growers. 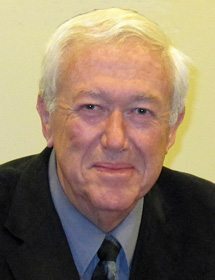 A number of different industry people have served as presenters, and Buth says one of the popular presentation topics added in recent years are the crop mission reports. “Farmers who have travelled on the new after-harvest missions to various countries report back to other growers about their experiences,” she says. 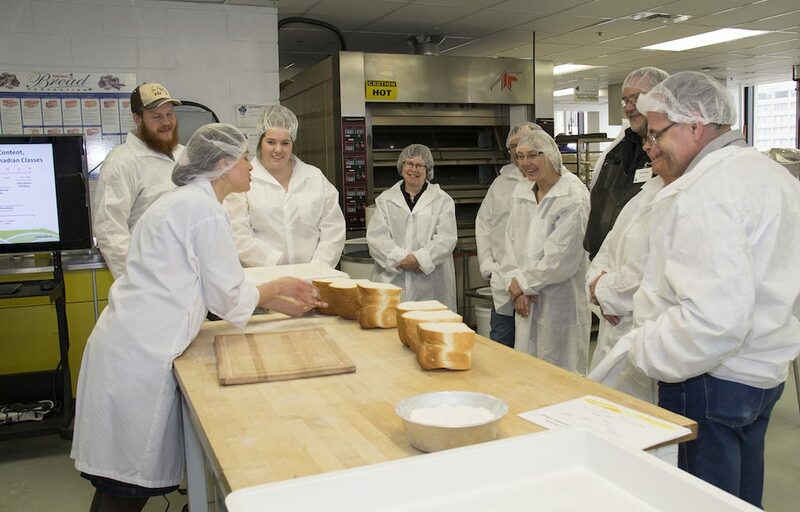 “Participants hear what kinds of information international customers are seeking from farmers, from farming practices, quality control methods and sustainability to what the growing season is like in Western Canada. This past June, Cigi announced its new board of directors at the same time it introduced a new funding model and board structure. There are now five growers and five grain company representatives on the board, including chair Kevin Bender (Alberta Wheat Commission), vice chair Brent Watchorn (Richardson International), secretary Jim Smolik (Cargill Canada), and directors Drew Baker (Manitoba Wheat and Barley Growers Association), Harvey Brooks and Bill Gehl (Saskatchewan Wheat Development Commission), Trent Rude (Viterra), Jean-Marc Ruest (Richardson International), Gary Stanford (Alberta Wheat Commission) and Ward Weisensel (G3 Canada Limited). The new board structure is a reflection of Cigi’s new funding formula, wherein the three wheat commissions and seven grain exporters/handlers provide Cigi with core funding totalling $7.7 million over the next two years. The Alberta Wheat Commission, Saskatchewan Wheat Development Commission and Manitoba Wheat and Barley Growers Association will fund Cigi through their respective single wheat check-offs, taking the place of the farmer check-off funding Cigi received through the Western Canadian Deduction (WCD), which ended July 31, 2017. The grain companies funding Cigi are Viterra, Richardson International, Cargill Canada, Parrish and Heimbecker, Paterson Grain, G3 Canada Limited and Inland Terminal Association of Canada. “This new sustainable funding framework is an important milestone in Cigi’s 45-year history and we look forward to working with the new board to ensure Cigi remains a strong asset to the Canadian grain industry,” says Buth. Prior to June 29, 2017, Cigi was funded through the Western Canadian Deduction, which was a regulation put in place after the marketing changes. This levy was $0.48 per tonne of wheat delivered in Western Canada to licensed grain facilities, of which Cigi received $0.15, and the remaining funds went to the Western Grains Research Foundation to support variety development with a small amount going to administration. In the past, Cigi had also received some funding from grain companies, but it was limited to some specific projects that Cigi conducted on a fee-for-service basis. The WCD regulation expired on July 31, 2017, so Cigi had been working closely before that point with the new wheat commissions to ensure they understood Cigi’s role in the wheat value chain and would continue to feel it important to support the organization. Cigi is also funded by the federal government through the Agriculture and Agri-Food Canada AgriMarketing Program, the AgriInnovation program and a special project in Morocco with Global Affairs Canada funding. While there is much activity at Cigi, contrary to some rumours, there is no activity happening that involves merging Cigi and Cereals Canada, nor are there any plans in place at this point to do so.